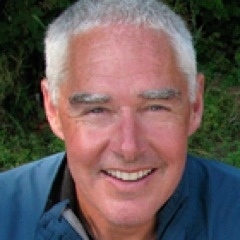 Dr. Kieran Egan is a professor in the Faculty of Education at Simon Fraser University, as well as a co-director and founder of the Imaginative Education Research Group. He is regarded as an influential contemporary thinker in the field of education, both for his contributions to educational theory and his development of educational programs that apply theory within the classroom. His research interests include education and curriculum theory, conceptions of development in education, and the way cognitive tools shape learning and understanding. A major focus of his work has been the development of Imaginative Education, an innovative approach to education that focuses on engaging the imaginations of learners in order to build more meaningful and lasting understandings of curriculum. Dr. Egan holds a B.A. in History from London University and a Ph.D. in Education from Cornell University. Egan, K. (2011). Learning in Depth: A simple innovation that can transform schooling. Chicago: University of Chicago press, 2010. Egan, K. (2010). The Future of Education: Reimagining our schools from the ground up. New Haven: Yale University Press, 2008. Egan, K. (2006). Teaching literacy: Engaging the imagination of new readers and writers. Thousand Oaks, CA: Corwin Press, 2006; Bucharest: Editura CD Press, 2007. Egan, K. (2005). An imaginative approach to teaching. San Francisco: Jossey-Bass, 2005. Translated into Korean, Japanese, Indonesian, Spanish. Egan, K. (1998). The Educated Mind: How cognitive tools shape our understanding. (Chicago: University of Chicago Press) Translated into Danish, Swedish, Hebrew, Greek, Russian, Spanish, Portuguese, Italian, Japanese. Engaging children’s imaginations by teaching them lots and lots of useless knowledge. 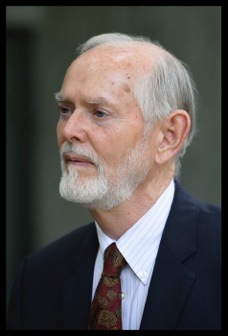 Dr. Charles Bingham is currently a professor at Simon Fraser University. He is an exceptionally inspiring teacher and a committed researcher in philosophy and education. His wide variety of teaching experiences started with teaching English and Mathematics in the rural district of Transkei, South Africa, and continued in the K-12 setting for over 11 years. He then taught at DePaul University in Chicago, IL as an assistant professor after which he came to the Faculty of Education at SFU. As a teacher, he has always been dedicated to the recognitive and democratic necessities of teaching and learning. Dr. Bingham’s research interests include investigating philosophical perspectives on curriculum and education, with sustained research into the concepts of educational recognition, educational authority and educational relations. His writings on these topics is philosophical, but very practical as well. He loves to tell stories, in his writings as well as in his teaching, so his work is often based on examples from his experience as a teacher. Some of the thinkers that inform his work are Friedrich Nietzsche, Michel Foucault, Judith Butler, Franz Fanon, Jessica Benjamin, Mikhail Bakhtin, and Jacques Rancière. Bingham, C. and Biesta, G. (in press, October 2010). Jacques Rancière: Education, Truth, Emancipation. Continuum Press. Bingham, C. Authority is Relational: Rethinking Educational Empowerment. State University of New York Press, 2008. Bingham, C. and Sidorkin, A, eds. No Education without Relation. Peter Lang Publishers, 2004. In this keynote address, I contextualize the community of inquiry approach, and philosophy for children, within the current milieu of education. Specifically, I argue that whereas former scholarship on philosophy for children used to critique the problems of teacher authority and knowledge transmission, we must now consider subtler, anti-dialogical scenarios such as online learning and teacher-less classrooms. I use a personal anecdote about identity formation in a ‘reverse-integrated’ elementary school as an example of the detrimental aspects of monologic learning. I draw on Jessica Benjamin’s intersubjective theory to demonstrate the importance of relational authority and dialogic teaching as key components of philosophy for children. Dr. Alanaise Goodwill is an assistant professor in Educational and Counselling Psychology and Special Education at The University of British Columbia. Her research explores Indigenous approaches to counselling and mental health and, more specifically, the experiences of First Nations and Métis peoples and the accumulation of historical traumas manifested in cultural and family life. In her publications, she discusses her Anishinaabe worldview of contemporary colonial predicaments as they contribute to culturally competent mental health practices and the restoration of Indigenous ways of healing. Dr. 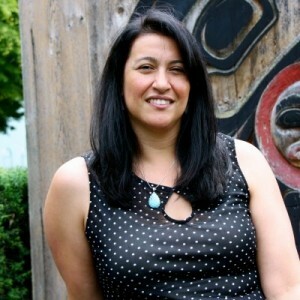 Goodwill is an Anishinaabekwe (Ojibway woman) and a former assistant professor at Brandon University, in the First Nations and Aboriginal Counselling Program, where she co-designed the Clinical Specialization Program in Native Studies. She serves on committees that advance the teaching and application of Indigenous languages in academic programs and ethical research with Aboriginal peoples. She is a mother of three, and enjoys travelling the pow wow trail with her husband and children as a Jingle Dress dancer. Goodwill, A. (in progress). In and out of gang life: Perspectives of Aboriginal ex-gang members. An article to be submitted to Canadian Journal of Community Mental Health. Goodwill, A. (in review). First Nations cultural identity, career choice, and Development: Informing career and guidance practices with First Nations students. An article submitted to First Nations Perspectives. Morrissette, P. & Goodwill, A. (2013). The psychological cost of restitution: Supportive interventions with Canadian Indian Residential School survivors. An article submitted to Journal of Aggression, Maltreatment and Trauma, 22(5), 541-558. doi: 10.1080/10926771.2013.785459. Goodwill, A. (2012). Leaders walking backwards: Aboriginal male ex-gang members’ perspectives and experiences. In C. Kenny & T. Ngaroimata Fraser (Eds. ), Living Indigenous Leadership: Native Narratives on Building Strong Communities. 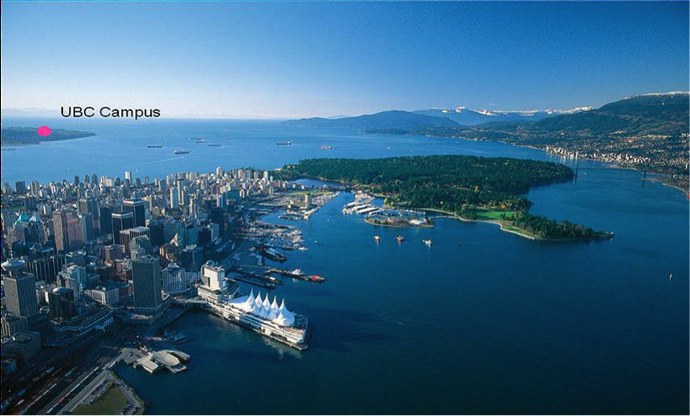 Vancouver, BC: UBC Press. Goodwill, A. & McCormick, R. (2012). Giibinenimidizomin: Owning ourselves. Critical incidents in the attainment of Aboriginal identity. Canadian Journal of Counselling and Psychotherapy / Revue canadienne de counseling et de psychothérapie, North America, 46(1). Available at: http://cjc-rcc.ucalgary.ca/cjc/index.php/rcc/article/view/1094/1489>. Date accessed: 12 Sep. 2014. This keynote focuses on a distinct aspect of the author’s research on Indigenous men’s experiences in youth gangs (Goodwill & Ishiyama, in press) and explores different meanings of leadership. There is an urgency for the restoration of leaders and the creative development of leadership styles following the 120 years of mass child removal from families and communities during the Canadian Indian Residential School era (Milloy, 1999) and the 60 ongoing years of provincial/territorial child welfare (Sinha, Trocmé, Fallon, & MacLaurin, 2011). The leadership themes that emerged in parallel narratives are offered as we discuss how to cultivate leaders in the most unlikely of places. Goodwill, A.O. & Ishiyama, F.I. (in press). Finding the door: Critical Incidents Facilitating Gang Exit Among Indigenous Men. A paper submitted to the Journal of Cultural Diversity and Ethnic Minority Psychology. Milloy, J. S. (1999). A national crime: The Canadian government and the residential school system, 1879 to 1986. Winnipeg: University of Manitoba Press. Sinha, V., Trocmé, N., Fallon, B., MacLaurin, B., Fast, E., Prokop, S. T., Petti, T., Kozlowski, A., Black, T., Weightman, P., Bennet, M., Formsma, J., Brascoupe, P., O’Brien, S., Flette, E., Gray, R., Lucas, L., Hoey, S., Levi, J., Montgomery, H. M., & Richard, K. (2011). Kiskisik Awasisak: Remember the children. Understanding the overrepresentation of First Nations children in the child welfare system. Ottawa: Assembly of First Nations.